At Paratext, historical sources—primary, secondary, and tertiary—are our business. Not all historical sources are immediately intuitive, and many hide fascinating stories. This is the first post in our “Exploring” blog series, which will delve into various useful sources available to researchers and scholars at all levels. We address issues of historical context, illuminate methods of use, and parse out biases where they may lie hidden. Today we look at Hansard’s Parliamentary Debates, a crucial set of documents in the field of Parliamentary history. –Ed. In many current-day democratic countries, transparency is taken as an unquestioned ideal ingrained at the basic level of government. However, this has not always been the case. The story of the British publication Hansard’s Parliamentary Debates illustrates how tenuous this ideal was until the beginning of the nineteenth century. Hansard’s rise to prominence came on the heels of five centuries of Parliamentary policy promoting strict secrecy. Yet from the 1600s onward public interest in Parliamentary proceedings increased drastically, largely due to the growing influence of newspapers and the printing press.3 An arms race effectively ensued between Parliament and the press, with printers determining new formats and methods of reporting to circumnavigate new rules as fast as the Houses could conceive of them. By the late eighteenth century, restrictions on reporting had relaxed somewhat.6 Into this atmosphere stepped William Cobbett (1763 – 1835), a well-known radical and proponent of reform. In 1802, Cobbett produced the kernel that would eventually become Hansard when he added accounts of Parliamentary debates to the contents of his weekly magazine, the Political Register. Indeed, Hansard became no less than an institution within British politics, succeeding where other similar publications failed to establish a foothold. In 1855, Hansard began receiving funding from the Treasury in return for official copies. In 1877, Parliament gave the publication £3,000 per annum to facilitate more accurate reporting. …it entered to the common lexicon as a verb: “to Hansardize” was to use a MP or peer’s own recorded words against him. What else appeared in Hansard? Essentially everything Parliament debated, voted on, and made speeches about—a whole lot, in other words. For example, Hansard provides records of the opinions made by Peers and MPs regarding Napoleon Bonaparte’s exile to Elba in 1815.12 Also within: records of King George III’s declining health, complaints from the peerage regarding the banning of the slave trade in 1807, and contemporary descriptions of the awful work put on children as young as four in the chimney-sweeping trade.13 Hansard is truly an indispensable trove of privileged historical knowledge. How does one access the rich source material contained within Hansard? One way is through the General Index to the First and Second Series of Hansard's Parliamentary Debates, the seminal 1834 index to Hansard. Edited by Sir John Philippart, the General Index was commissioned by T.C. Hansard in 1832 to facilitate easier use of the sixty-six volumes that made up the first two “series” of his periodical. First Division: Chronological order of debates during each session, 1803 – 1830. Second Division: Succession of Peers, Members of Parliament, and others holding High Official Appointments, 1803 – 1830. Succession of Bishops in the respective Sees of England, Wales, and Ireland, 1803 – 1830. Third Division: State papers, Parliamentary returns, accounts, reports, petitions, protests, lists, etc. Fourth Division: Alphabetical arrangement of speakers in debates during each session of Parliament, 1803 – 1830. “Corn—Account of the quantity of Corn, Grain, Malt, Flour, Meal, &c., Exported from, and Imported into, Scotland, &c.,” Hansard's British Parliamentary Debates, House of Commons, First and Second Series 1803 to 1830 ii(1804):664. 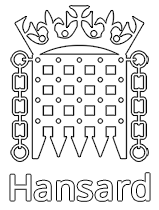 Hansard material can also be accessed through records maintained by the Hansard section of U.K. Parliament. Hansard Online, their internet portal, is useful especially for researchers looking for post-1830 material. Hansard Online offers digitized versions of nineteenth and twentieth century records through Historic Hansard, which can be used quite effectively in conjunction with the General Index. Users of 19th Century Masterfile: 1106 – 1930 can access the entirety of Sir John Philippart’s General Index to Hansard, covering the years 1803 through 1830 in Parliamentary history. Check your institution’s database subscriptions to find if you have access to 19th Century Masterfile, or sign up here for a free trial. John Vice and Stephen Farrell, History of Hansard (London: House of Lords Hansard and the House of Lords Library, 2016), 18 – 22; “Story of Hansard,” Hansard: House of Commons Official Report, last modified 2006, accessed May 7, 2018, https://web.archive.org/web/20090817171411/http://www.hansard-westminster.co.uk/story.asp. “Breach of privilege,” Living Heritage, UK Parliament, accessed May 7, 2018, https://www.parliament.uk/about/living-heritage/evolutionofparliament/parliamentwork/communicating/overview/breachofprivilege/; Vice and Farrell, History, 3. Vice and Farrell, History, 3 – 4. “Hansard (Official Report),” Living Heritage, UK Parliament, accessed May 7, 2018, https://www.parliament.uk/about/living-heritage/evolutionofparliament/parliamentwork/communicating/keydates/publicationofofficialreport/. Vice and Farrell, History, 7. The “Unreported Parliament” of 1768 to 1774 had cracked down heavily on reporters, and the new government of 1774 acted relatively liberally toward the press. It should be noted that though prosecution had lessened, reporting was still technically illegal and punishments were still doled out on occasion. The Houses would not fully lift the ban on reporting until 1820 and even then it was largely a shift in unofficial customs and attitudes. Vice and Farrell, History, 9 – 13. Editor’s note: Before publishing Cobbett’s Parliamentary Debates, William Cobbett compiled a history of Parliamentary proceedings covering the previous seven centuries. 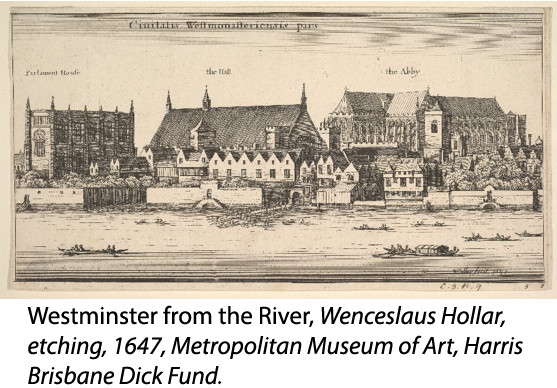 Cobbett’s Parliamentary History of England, From the Norman Conquest in 1066 to the Year 1803 is also indexed and searchable to 19th Century Masterfile users. (See the source description for more information.) Vice and Farrell, History, 17 – 18. “Hansard (Official Report)”; Vice and Farrell, History, 19 – 21. Vice and Farrell, History, 22. This practice began again in 1943; the name had been absent from reports since 1891. “Hansard (Official Report)”; Vice and Farrell, History, 23 – 27. Emma Crewe, Lords of Parliament: Manners, Rituals and Politics (Manchester and New York: Manchester University Press, 2005), 192; Vice and Farrell, History, 21. “Buonaparte, Napoleon—His escape from Elba,” 5 Parl. Deb., H.C. (1st ser.) (1815) 113, 342, 343, 349, 417, 716; “Buonaparte, Napoleon—His escape from Elba,” 5 Parl. Deb., H.L. (1st ser.) (1815) 463, 545. “Chimney Sweepers—Regulation Bill,” 5 Parl. Deb., H.C. (1st ser.) (1817) 1155; “King's Health (George III), state of the—Declaration of the Members of his Majesty's Council respecting the state of his Majesty's health, —dated 4th and 5th January 1812,” 4 Parl. Deb. H.C. (1st ser.) (1812) 51; “West-India—Petition from certain Planters, Mortgagees, Merchants, and others interested in the West-India Islands, against a clause added by the House of Commons, to the Slave Trade Abolition Bill,” 3 Parl. Deb. H.L. (1st ser.) (1807) 168. Thomas Curson Hansard, “Preface,” General Index to the First and Second Series of Hansard's Parliamentary Debates Forming a Digest of the Recorded Proceedings of Parliament, from 1803 – 1830 (London: Baldwin & Cradock, 1834), i – v.
 Thomas Curson Hansard, “Arrangement,” General Index to the First and Second Series of Hansard's Parliamentary Debates Forming a Digest of the Recorded Proceedings of Parliament, from 1803 – 1830 (London: Baldwin & Cradock, 1834), xi – xii. Note to researchers: column numbers start over with each new session of Parliament, meaning that multiple instances of the same column number may appear in one year.